Crash, Roulette, Case Opening, Esports Betting, Dice, Jackpot, Roulette Strategies and More! LIST OF NEARLY ALL SITES BASED ON VGO GAMBLING. FREE BETTING TIPS, REVIEWS,SLOTS,TRADING SKINS UPGRADE, vIRL CASE OPENING, FREE COINS, NEW BONUS CODES. 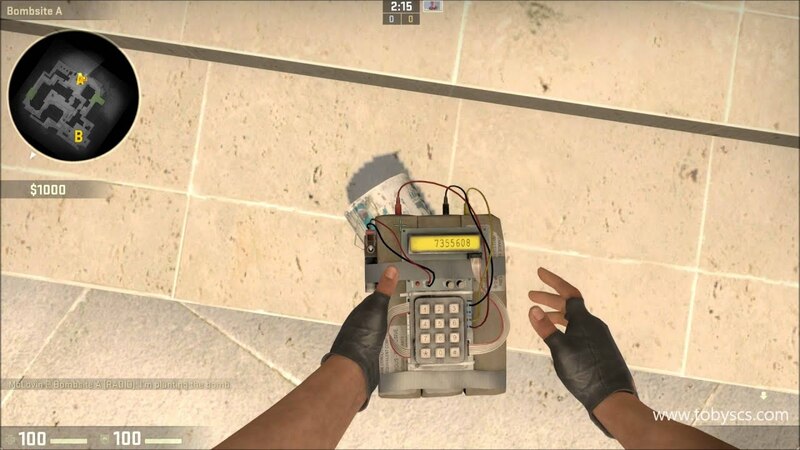 Planting the bomb is very important part of the game. It takes 3 seconds to plant the bomb but selecting the correct position in different scenarios of the round is as important. In this article, we’re going to explain the different bomb plants attempted on a bomb site to secure the round. The basic plants being: default plant, safe plant, open plant and the advantageous plants. The most commonly planted position on any bombsite is the default plant of that site. For example, the tunnel plant on dust2, banana’s coffin plant on inferno, redbox plant on cache, short plant on A site overpass. This plant is commonly attempted when the opponents are rotating from other site and wouldn’t stop the plant in any worst case scenario. Though this plant shouldn’t be attempted in any advantageous team composition such as 5v3 or similar. The most important plant of the game, this plant would help you either win the round or lose the round. When you’re in a clutch situation where you need to plant the bomb due to low timer and you’re forced to plant the bomb, this is the plant to go for, unless you’ve balls of steel and would rather go for a foolish plant instead. The safe plants are behind boxes on dust2, behind boxes on A site inferno, redboxes on A site cache, default plant being the safest one on B site cache, truck plant on A site overpass, default plant B site overpass and blue barrels on B site inferno. Once you plant safe, you just need to play the time game and play in the crossfire to that plant. Throwing away your position just after the plant is a foolish attempt to win the round, it rather cost you the round. When it’s a 1v1 or 2v2 scenario, it is advised to plant openly where the plant is visible from all the angles. You can play any position after the open plant, it makes very hard for the opponents to guess your correct position unless you give out yourself. You just need to correctly play the time in this case. These plants are attempted on the respective strong position of your teammate. Advantageous plants being simply an advantage to your team in the after plant scenarios as the opponents would certainly have to take care of atleast 2 angles unless your position is given also the grenades can be used to counter the defuse. These plants being, Long plant on dust2, cornor plant or the tunnel plant on dust2, coffin plant on B site inferno, short plant on A site inferno, default plant inner plantaparts plant B site mirage, connector/ramp plant A site mirage, bank plant A site overpass, short plant B site overpass and respective. We hope after reading this article, you’d surely tryout these awesome plants in hard scenarios to win the round for your team. GLHF!